Tomorrow one of my all time favourite bands will be coming back to London for one night only, performing at London’s Islington Assembly Halls, Enslaved promise to bring the party but before that, lets reminisce with Ivar all about fart machines. Known for being the very definition of a gentle giant, Ivar Bjørnson is one of the nicest and funniest guys in Metal. Releasing the epic fjord hopping beast that was E back in October, Enslaved will be bringing their Nordic rhythms over here tomorrow, if you can’t tell I’m a little bit excited! 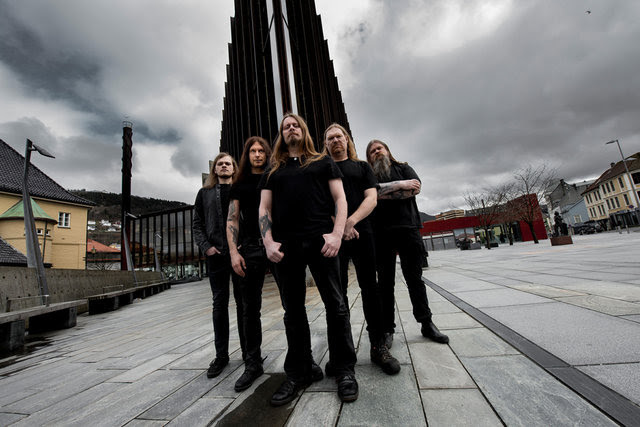 Sitting down, Bjørnson reminisced about all the good fun that both Enslaved and Opeth had together previously that involved multiple fart machines. I won’t spoil it for you but Bjørnson’s gift for storytelling is something else entirely. Enslaved’s absolutely brilliant, bonkers, genius, progtastic E is out now everywhere. Buy it.